Mountain bikes are versatile and fun to ride, making them the right choice for many. 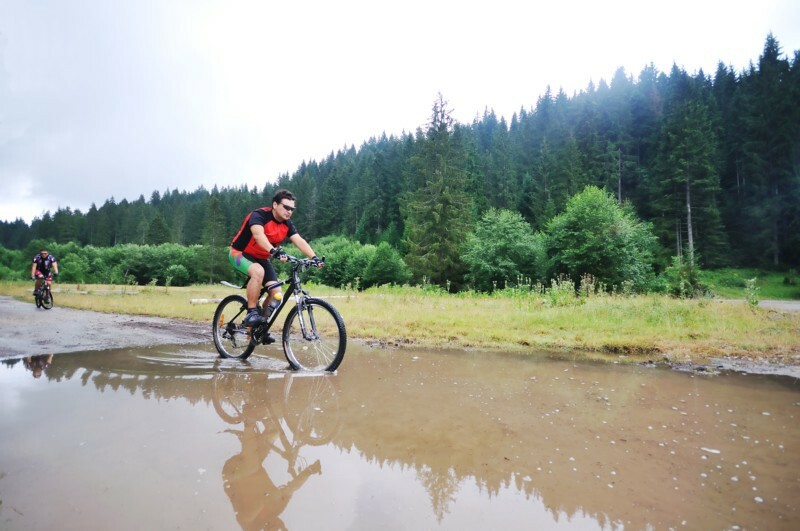 Some riders, however, want to go places where mountain bikes would get bogged down. The fat bike is the answer to this common dilemma. With tires that can be twice as wide as those a mountain bike might be found with, a bike of this design offers unequaled flotation in conditions like snow, sand, and mud. Buying a fat bike can be a great way of becoming able to ride more often and at times when others must stay inside. Single chain-ring gearing. On a road bike or even a mountain bike, speeds will often be high enough that being able to shift up into a new range will be helpful. The terrain that bikes like this are meant to tackle tends to prohibit such things, so having several gears and a derailleur up front can be wasteful. Some models do away with such excesses entirely, enabling lighter weight and a more reliable design with that decision. Front and rear suspension. Many mountain bikes are equipped with both fork-mounted shocks and rear ones that cushion the movements of an integrated swing-arm. Just as with mountain bikes, it can make sense to either opt for such bonuses or skip them when looking for a fat bike for sale. Suspension will often allow a bike to feel more comfortable in rougher terrain, but carries the cost of making it heavier, as well. Customized geometry. Many things about the average bicycle can be changed, but some are basically set in stone. The angles at which the various tubes of a bike’s frame come together help determine the way it handles and are not able to be adjusted. Bikes with more aggressive geometry can turn more easily and make the most of a rider’s power, whereas one with laid-back angles will be easier and more forgiving to ride. In each and every case, though, the owner of a new bike of this type can count on plenty of fun. The reason that interest in such bicycles has been growing so quickly is that they are some of the most enjoyable of all to take out for a ride, whatever the conditions might be like.